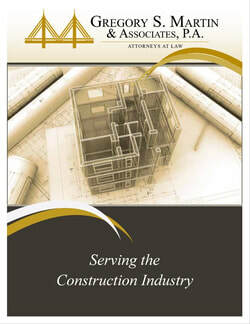 Florida Legislature Provides Design Professionals a Limitation of Liability for Claims of Negligence - Martin|Hild, P.A. The Florida Legislature enacted and Florida Governor Rick Scott recently signed into law, effective July 1, 2013, amendments to Florida Statutes Chapter 558, which provide a safe harbor to design professionals for claims of negligence. This safe harbor is limited to the employees or agents of a design professional business entity and covers only economic damages. The enactment of Fla. Stat. §558.0035 is the Florida Legislature’s response to Witt v. La Gorce County Club, Inc., supra, allowing a judgment for negligence against an individual for purely economic damages to stand. The practical, ethical and legal effects of the Florida Legislature creating such a safe harbor for design professionals raises numerous questions, and this is an issue that appears far from settled. The exclusion from negligence liability is predicated on certain conditions. First, a business entity must provide the design services through a written contract. However, as written, a “business entity” does not include the sole proprietor professional. Second, the individual is not a named party to that contract. Third, the contract must include a prominent statement that the design professional may not be held individually liable for negligence. For example: “PURSUANT TO SECTION 558.0035, F.S., AN INDIVIDUAL EMPLOYEE OR AGENT OF DESIGNER MAY NOT BE HELD INDIVIDUALLY LIABLE FOR NEGLIGENCE ARISING OUT OR RELATED TO THIS AGREEMENT AND THE SERVICES PROVIDED.” Third, the disclaimer must be in 5 point larger font than the rest of the contract. Fourth, the business entity must maintain professional liability insurance. Fifth, any claimed damages are purely economic and do not extend to personal injuries or property not subject to the contract. Additionally, the Florida Legislature amended Fla. Stats. §471.023(3), §472.021(3), §481.219(11), §481.319(6) and §492.111(4), to specifically include the limitation of liability contained in Fla. Stat. §558.0035. These sections of Florida law previously prohibited an individual from limiting personal liability behind a corporate shield and further provided that a business entity was liable for the acts or omissions of its employees up to the full value of its property. By incorporating Fla. Stat. §558.0035 into the above listed provisions of Florida law, a business entity remains liable, up to the full value of its property, for the acts or omissions of its employees, but the employees are potentially insulated from personal liability if the conditions of Fla. Stat. §558.0035 are met. The potential result is that the injured party is not able to recover in full for damages sustained. A brief review of relevant Florida case law since 1999 will provide further context for the Florida Legislature’s enactment of Fla. Stat. §558.0035. In 1999, the Florida Supreme Court held in the case of Moransais v. Heathman, 744 So.2d 973 (Fla. 1999) that design professionals, although working as employees or agents for a design entity, could be held personally liable for claims of negligence. Moransais recognized actions against individual design professionals for negligence in the absence of a contract and where the damages were purely economic and without physical injury or damage to other property. Moransais recognized that a design professional that performs the actual contractual scope of work is as exposed to a claim of professional negligence equal to the employer design professional business entity that entered into the design services contract. Eleven years after the Moransais decision, Florida’s Third District Court of Appeal, in June 2010, in the case of Witt v. La Gorce County Club, Inc., 35 So.3d 1033 (Fla. 3rd DCA 2010) held that a professional geologist (Witt) was personally liable for purely economic damages of $4,000,000, notwithstanding the limitations of liability provision in the contract. The Third DCA reasoned that because Witt’s negligence liability existed as an individual, outside of the design services contract, any limitation of liability clause in the design services contract did not apply. This holding was in keeping with the general statutory intent that professionals may not limit their professional exposure through a corporate entity. Notably, in both Moransais and Witt the Florida Supreme Court and the Third District Court of Appeal stated that it is necessary to allow claims against individual designers, outside of the design contract, due to the potential limitations of remedies under the design contract. As the Third DCA notes in Witt, “an extra contractual remedy against a negligent professional is necessary because contractual remedies in such a situation may be inadequate.” Witt, 35 So.2d 1039. In Moransais, the Florida Supreme Court found that parties to a professional services contract may not be able to adequately protect themselves when limited to contractual remedies. Moransais, 744 So.2d 983. It is within the above context of Florida case law that the actions of the Florida Legislature in enacting Fla. Stat. §558.0035 should be considered. Arguably, an individual design professional may only be able to make up for the deficiencies of a design services contract if that design professional is insured separate and apart from the business entity employer. The cost of doing business may increase when both the business entity and the professional designer employee are exposed. Through this new statute, the Florida Legislature is limiting professional liability to the business entity rather than the individual. By doing so, this new statute places the burden on the purchaser of professional design services to negotiate contracts that contain sufficient coverage for potential claims. Contractual limitations of liability clauses are now potentially more perilous to the purchaser of professional design services. Despite the apparent intentions of the Florida Legislature providing a safe harbor to design professionals with Fla. Stat. §558.0035, there are questions as to the practical, ethical and legal implications of the law. Practically, what client of professional design services will sign a contract with the exclusion of liability for individual designer’s printed in bold font? At minimum a client would have the burden of risk assessment as to the contractual liability of the professional design business entity. It may be that the costs to the professional design business entity to meet client’s demands for liability coverage outweigh any savings afforded by Fla. Stat. §558.0035. In another scenario a client will simply refuse such a limitation of liability and shop elsewhere for design services that do not propose the exclusion of liability. An additional practical effect should also be considered. Separate actions against individuals are not common. Typically, a professional malpractice action is brought against the business entity. By requesting that the limiting language be included in the professional services agreement, but then accepting the client’s rejection of the language, the individual may have reminded the client about a cause of action the client would not have otherwise considered. From these scenarios, Fla. Stat. §558.0035 will likely be market driven to limited practical effect. There also exist ethical and legal considerations for any professional attempting to limit his or her liability with a client. Ethical considerations include compliance with the Board of Professional Engineers’ Rules of Responsibility. Rule 61G15-30.001 states that the Responsibility Rules are not intended to take priority over contractual relationships, but only to the extent that the contract does not violate the stated intent of the Rules of Responsibility. Arguably a contractual provision that excludes the individual design professional from negligence liability does not embody the spirit of the Rules of Responsibility. While the Rules of Responsibility place a burden on managing design engineers for the work of their employee design engineers, the lower tier engineer is not absolved of abiding by the Rules of Responsibility. A more generalized ethical consideration is whether any professional, providing specialized services and enjoying the economic benefits conferred by doing so should be insulated from liability for doing the work of their profession? Notably, a limitation of sorts already exists for professionals; it is called the “standard of care.” Professionals are only liable in negligence if their acts or omissions fall below the standard of similarly situated professionals in the community. Thus, not every error or mistake naturally leads to exposure for damages. If you are a design professional, your first reaction might be to embrace the statute. However, if the client refuses the exemption, you may have highlighted a cause of action not previously considered by the client.